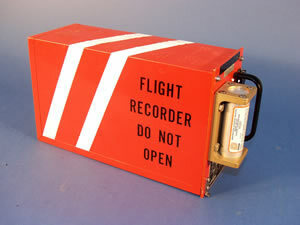 Large commercial aircraft and some smaller commercial, corporate, and private aircraft are required by the FAA to be equipped with two "black boxes" that record information about a flight. Both recorders are installed to help reconstruct the events leading to an aircraft accident. One of these, the Cockpit Voice Recorder (CVR) , records radio transmissions and sounds in the cockpit, such as the pilot's voices and engine noises. 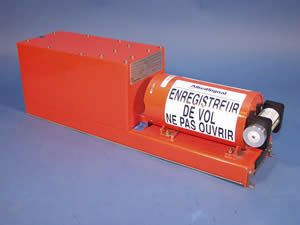 The other, the Flight Data Recorder (FDR) , monitors parameters such as altitude, airspeed and heading. The older analog units use one-quarter inch magnetic tape as a storage medium and the newer ones use digital technology and memory chips. Both recorders are installed in the most crash survivable part of the aircraft, usually the tail section. Subtitled: Why Air Safety is No Accident. Get the low-down on the mysterious instrument that records cockpit conversations, instrument readings and aircraft movements. This book details the work of aircrash detectives in determining what or who is responsible for an air disaster. Hdbd., 6 x 9 1/4, 185 pgs., 14 bandw ill.